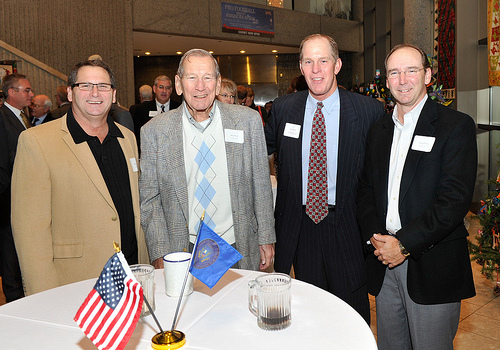 On the morning following President Gerald R. Ford’s Grand Rapids Centennial Birthday Celebration Tribute Dinner, the Ford Family, Foundation Trustees and friends gathered to continue the celebrations leading up to what would have been Gerald R. Ford’s 100th birthday. 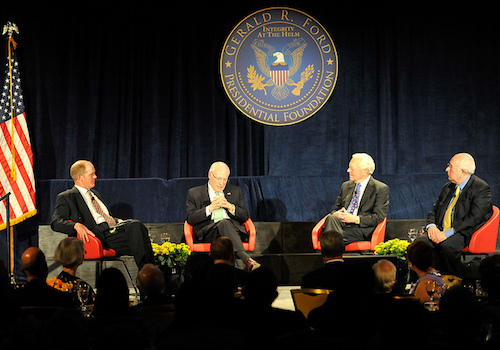 In continuing to celebrate Gerald R. Ford’s 100th birthday, the Foundation hosted the Annual Dinner in conjunction with a Centennial Tribute in Grand Rapids, Michigan. On May 6th, 2013 at the Amway Grand Hotel, members of the Ford Family, Trustee Board Members, friends from Grand Rapids and around the country joined together. 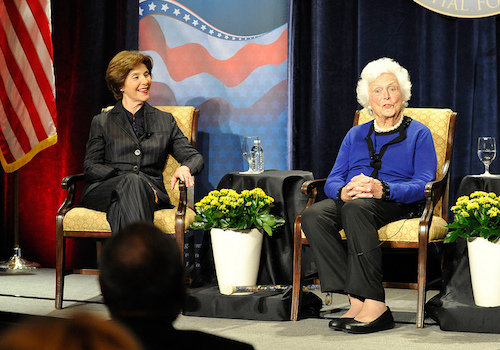 On April 8th, 2013 in Grand Rapids, MI, The Gerald R. Ford Presidential Foundation was honored to host former First Ladies Barbara Bush and Laura Bush during the traveling “The Legacies of America’s First Ladies Conferences”. 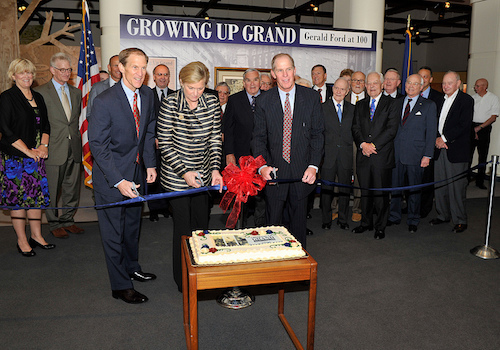 The event coincided with the commemoration of Betty Ford’s 95th Birthday and continued Gerald R. Ford’s centennial birthday celebrations. 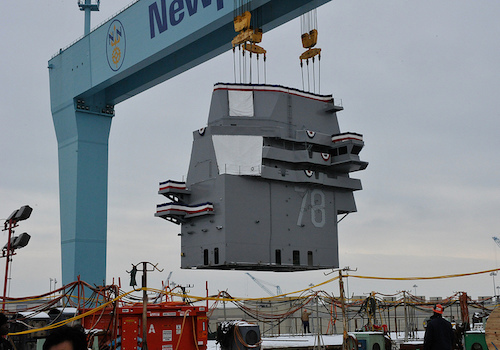 On January 26, 2013, the Island Landing Ceremony of the USS Gerald R. Ford (CVN 78) took place at the Newport News Shipbuilding (NNS) in Newport News, Virginia. The ceremony represents a significant milestone in the structural completion of the ship. On November 9, 2012, the Gerald R. Ford Foundation’s board of trustees met with area business and community leaders to share a vision aimed at creating global access to the Gerald R. Ford Presidential Museum’s and Library’s exhibits and documents through the funding of a $15 million dollar capital campaign.